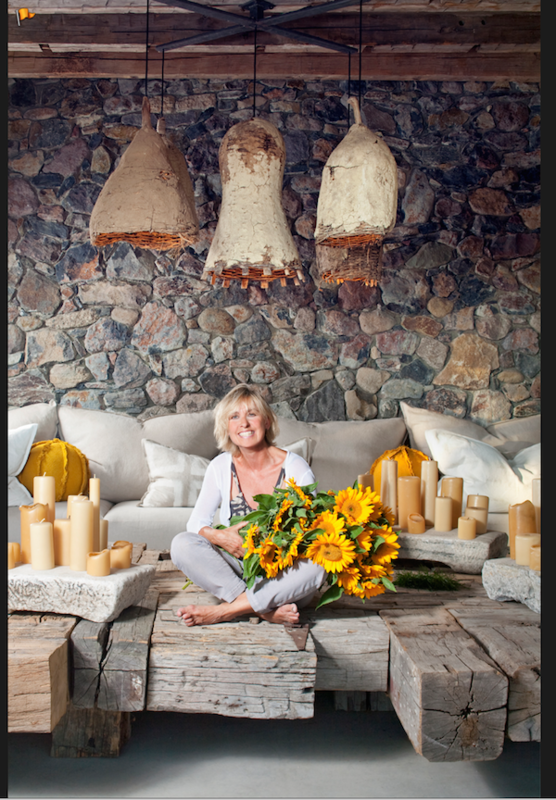 Wendy Owen’s passion for combining natural fabrics, woods, stone, reclaimed building materials and old world elements in earthy, monochromatic color schemes has built her reputation as one of northern California’s leading residential interior designers. Greatly influenced by the late Michael Taylor, Ron Mann, and British sculptor David Nash she considers ‘texture’ to be her color and the key to what makes great design. She creatively draws nature and the outdoors into a home. Owen came to the United States from her native Britain, bringing a natural talent for design inherited from her father, an artist, painter and decorator, as well as her sewing ability she cultivated as a young girl. Demand for Wendy Owen Design continues to build, and she finds herself traveling to France twice a year where she scours the countryside for ancient stone artifacts including sinks, troughs, building materials and time worn treasures, in which she ships back for design projects in the United States. She especially loves working in California’s Wine Country because of its strong resemblance to her beloved Provence.